When we bought our house, all of the neighbors told us that the original owner designed a home for entertaining. He was a bachelor and loved throwing fun shindigs for his friends. When Alan and I saw the house, we immediately envisioned all the parties we would host. The open floor plan makes it easy, but our patio and deck are an entertainer’s dream! We love having friends over and, of course, we want to make the original owner proud and keep the party spirit alive. 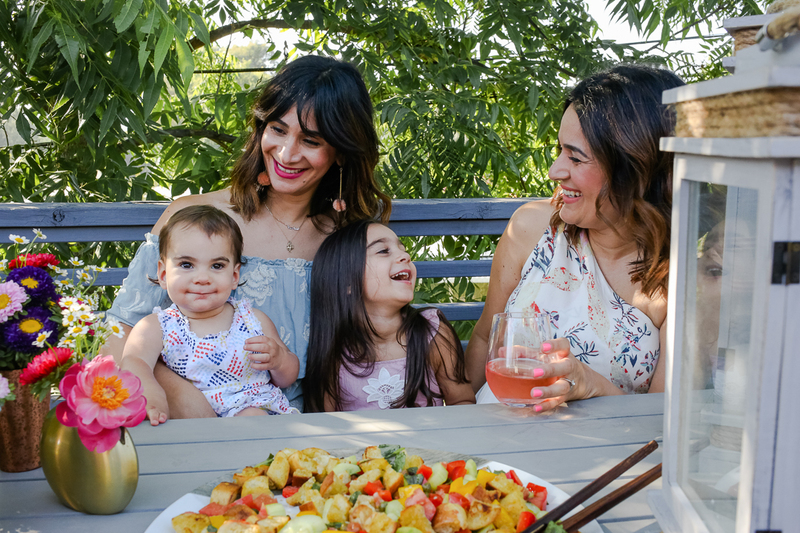 I’m so excited to partner with Pier 1 Imports, to share some ideas and tips for hosting your own block party this summer. To keep things simple for both myself and the guests, I stick to several large batch foods that are crowd pleasers but also easy to eat while still mingling. 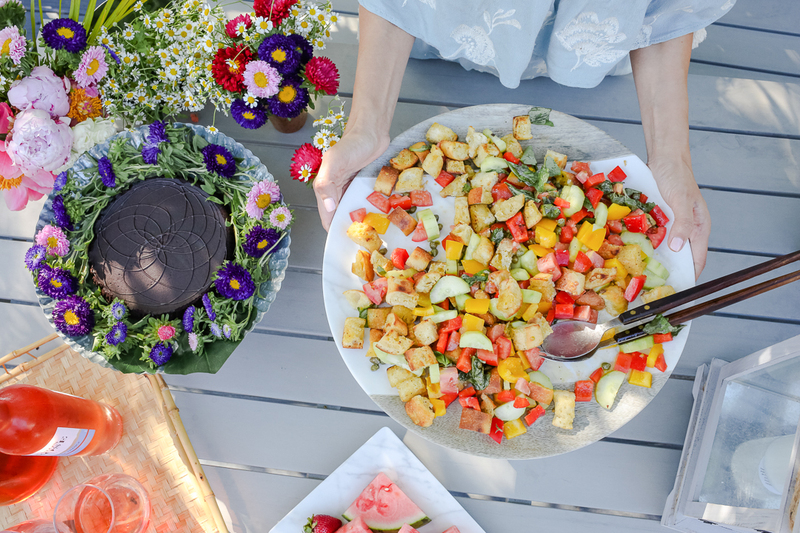 Panzanella Salad is a really hearty salad that is easy to eat while standing or walking around with guests. 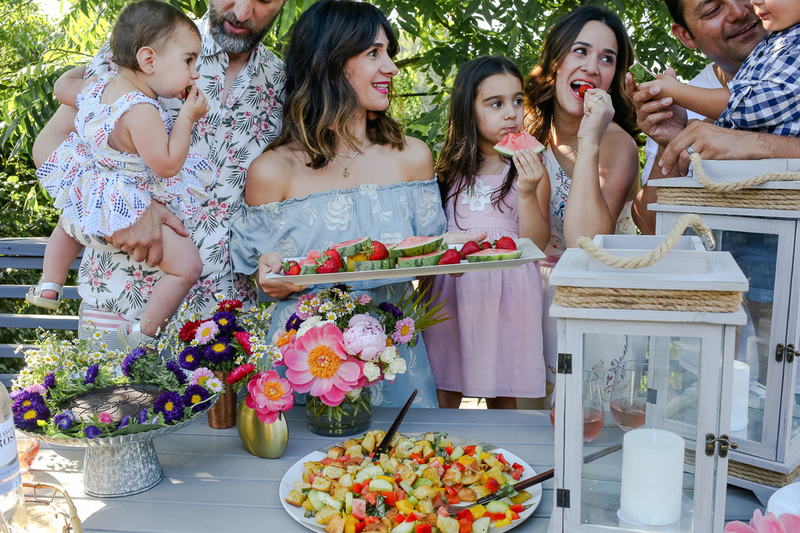 I also love to have sliced watermelon ready to go since guests can also munch on the refreshing fruit without needing a plate or utensils. As soon as I saw the melamine wood and marble serveware, I picked up the whole selection. They look real, but they are super lightweight and perfect for outdoor entertaining. Although it’s staying light out much later, I always love to have some lanterns lit at the start of the party. That way once it gets dark, I don’t have to worry about finding matches. Plus, it sets the mood for the evening and you really can’t go wrong with pretty lanterns. 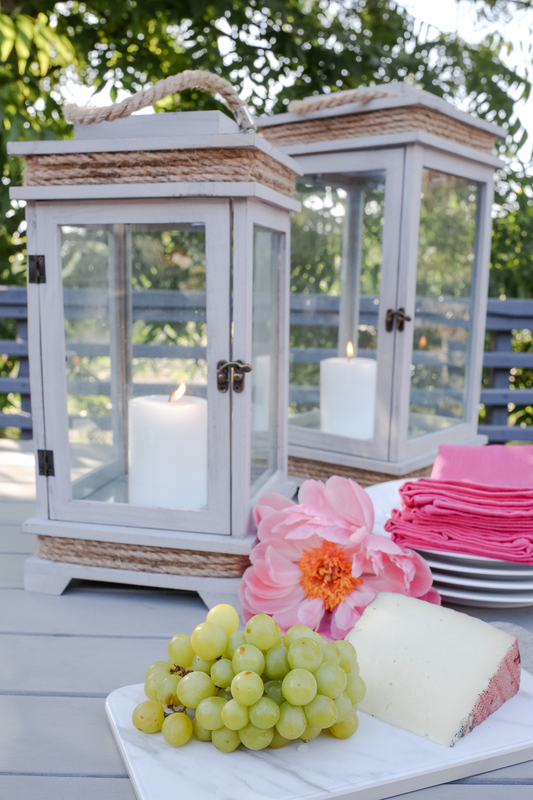 These wood lanterns are the perfect size and work on the floor or on a cocktail table too. As any good hostess knows, another easy easy way to dress up your partyscape is with flowers. We’re so lucky it’s peony season so that elevates every. single. centerpiece. But this is where you can make a big impact without spending a lot of money. Just swing by your trusted grocer and get a variety of colorful blooms and voila! 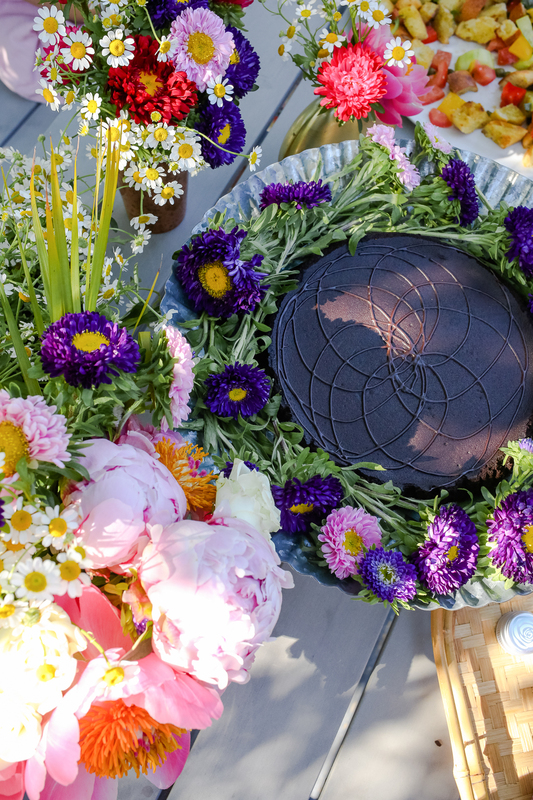 I also love to dress up a simple cake with bright flowers. This galvanized stand works great for cakes, but I also love to put fresh lemons and limes on it as another easy centerpiece. After having Harlee, I realize that accidents do happen and wine glasses break (yup, it took me that long). 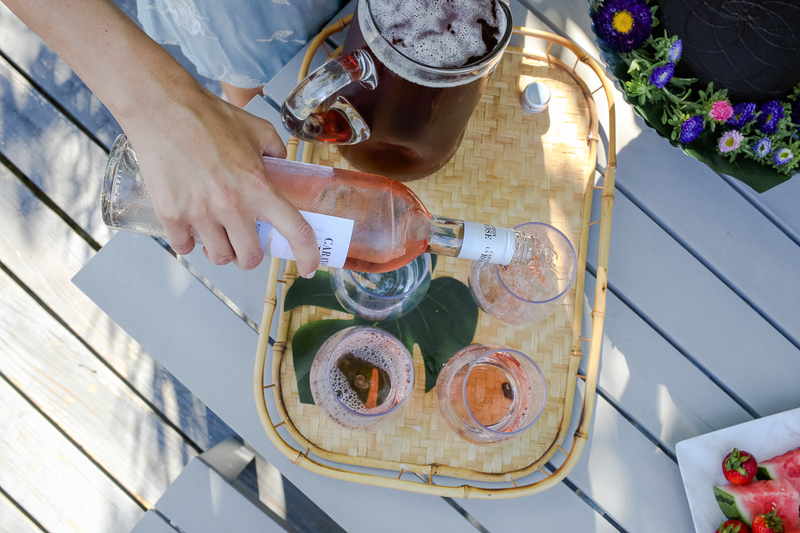 For outdoor parties, I opt for these acrylic wine glasses because they’re chic and they’re shatterproof. Again to keep things simple, I always have bottles of wine chilling and make one large batch cocktail for guests. 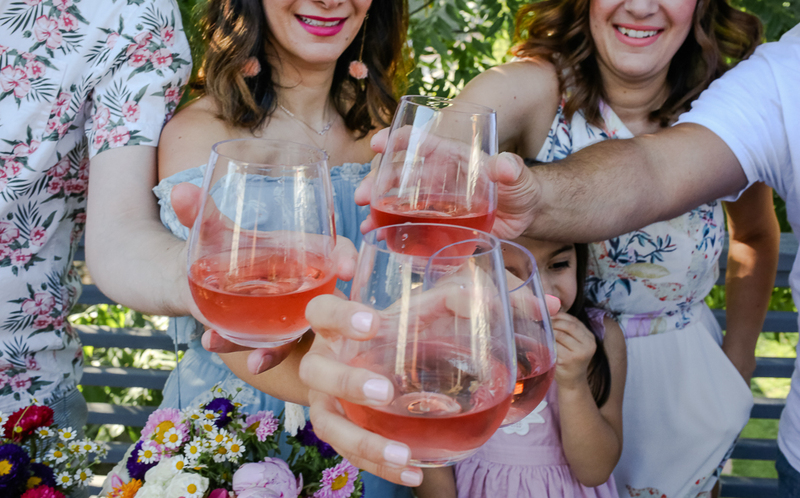 I will always have a few glasses of wine or cocktails ready to go so guests can toast to a great party! 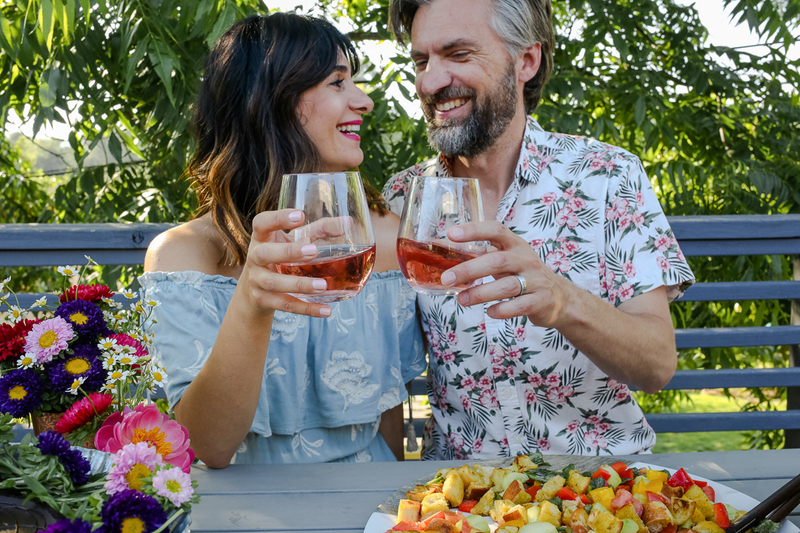 Most importantly, always find time to toast to your partner! Alan and I always pour ourselves a glass of wine and toast to the wonderful party we’ll have. We get to celebrate together before the party fun begins. I love Pier1.com because everything is affordable and easy to shop. 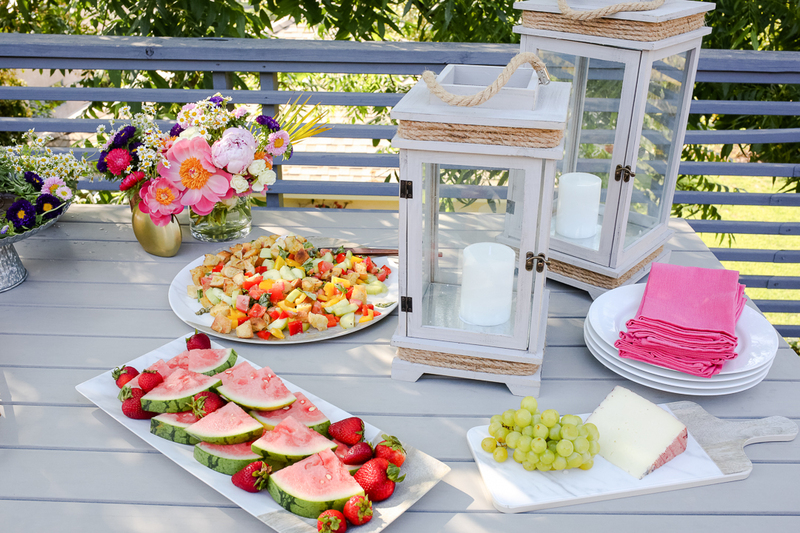 The pieces are versatile enough to mix and match and make any outdoor party vibrant and fun. I’d love to know when you’re hosting your next big backyard party? Do you and your neighbors throw a blockparty? Let me know what pieces you’ll be shopping from today’s post! This post was sponsored by Pier 1 Imports and Collectively. This looks like the best time! That table is set up beautifully! OMG this looks like the best time ever! !I need an invite to one of your parties! I love Pier 1! And WOW is this the most beautiful set up I’ve ever seen! These pics should be in a magazine! That entire setup is just too gorgeous! 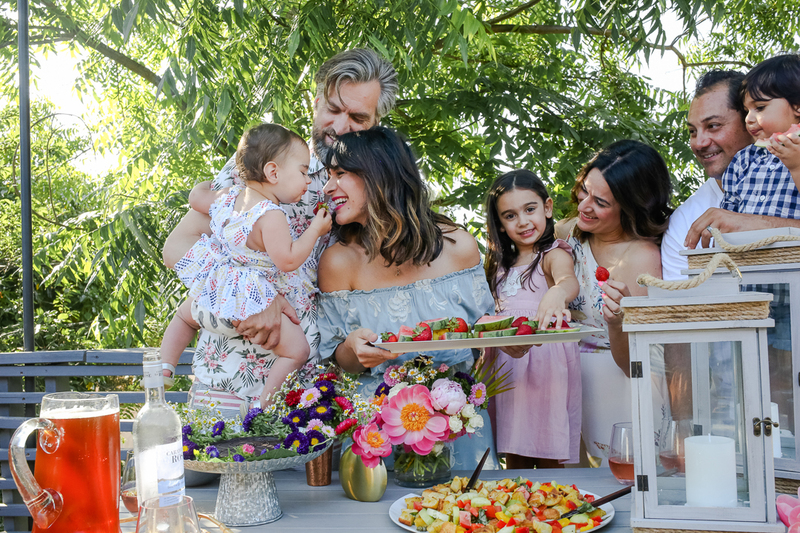 What a gorgeous party and beautiful set up! How fun. You did such a wonderful job decorating!!! This looks so fun! And I love when a house is set up to entertain.